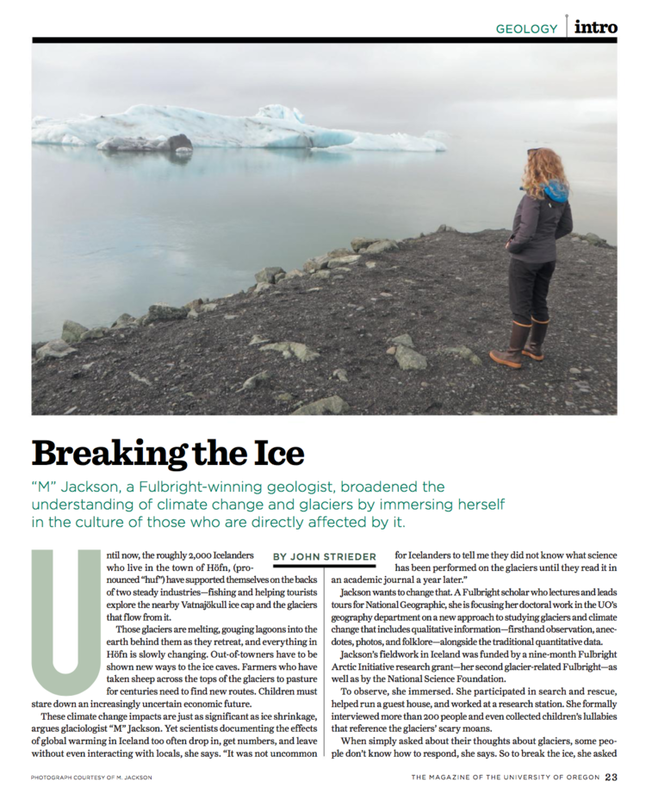 “M” Jackson, a Fulbright-winning geographer, broadened the understanding of climate change and glaciers by immersing herself in the culture of those who are directly affected by it. Until now, the roughly 2,000 Icelanders who live in the town of Höfn, (pronounced “huf”) have supported themselves on the backs of two steady industries—fishing and helping tourists explore the nearby Vatnajökull ice cap and the glaciers that flow from it. Those glaciers are melting, gouging lagoons into the earth behind them as they retreat, and everything in Höfn is slowly changing.